I was expecting lots of PlayBook news from BlackBerry World this week and RIM didn’t disappoint as they provided BB Tablet OS update 1.0.3.1868 late last night. 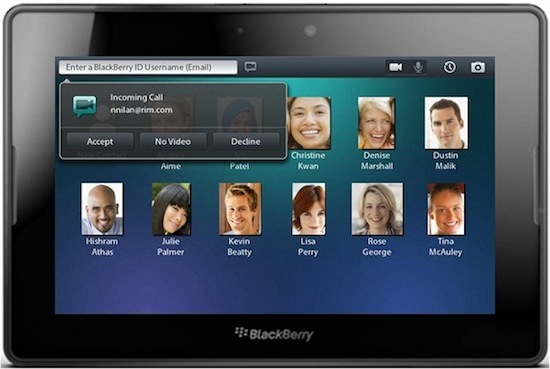 As pointed out on BlackBerry.com blog this update provides BBM via the Bridge, Video Chat, document editing via the Bridge, and Home screen browser bookmarks. My favorite new feature is the ability to designate my bookmarks as Home screen shortcuts like RIM did out of the box with Twitter and Facebook. I now would like to see some more organizational support for the Home screen, such as more categories and maybe folders and subfolders too. 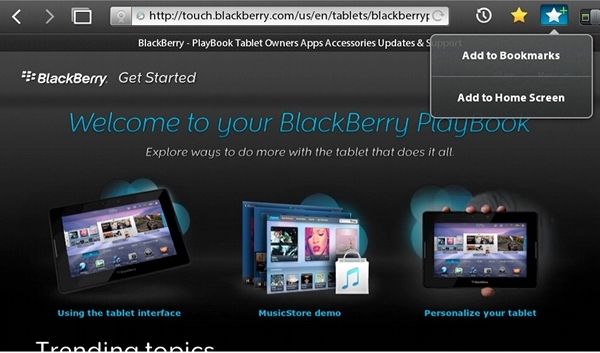 What is your favorite new feature in this PlayBook update ? Lets hear from you !! !